An inexpensive 13-inch laptop will always get our attention, and HP's Pavilion dv3z fits the bill starting at less than $700; it is also highly customizable (our configuration was $893). We're fond of saying that 13-inch laptops are the smallest we could fathom working on for a full day, and the biggest we'd be willing to carry around on a regular basis--the popularity of Apple's 13-inch MacBook line points to this. The 13-inch HP Pavilion dv3z offers a reasonable trade-off, choosing battery life and value over performance and weight. The dv3 is a bit of an odd bird for me when it comes to an up-or-down recommendation. The performance is lackluster on paper, but I didn't have any major holdups in everyday use. What really got on my nerves was its touchpad, which kept trying to second-guess my moves. Tweak that touch sensitivity enough--or just be extra careful while highlighting--and it shouldn't be a big a burden. But why should you have to wonder if it will be a burden in the first place? The dv3 gets enough right to make it worth considering, but I'd recommend you go to the store and lay hands on it yourself. Otherwise, the heavier, but way more powerful, Gateway UC7807u could do you right. Alternatively, keep your eye out for the Pavilion dv2, the cheaper brother that I'm digging right now. It's good for the basics and is pretty flexible for most everyday needs. 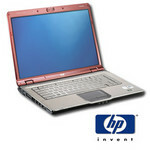 HP's Pavilion dv3 has a very different look from their other Pavilion laptops thanks to its bronze color. Some may enjoy it but I find the color a bit distracting. In terms of performance, it is decent as a general purpose laptop in a small package with a relatively low overall cost. The AMD processor does put it slightly at a disadvantage compared to the Intel Core 2 processors but it does well for its cost. Direct order version of the laptop are also very highly customizable. If you’re looking for an easily portable machine that won’t give your eyes and fingers cramps, a 13.3-inch notebook can deliver the right balance of portability and usability. The HP Pavilion dv3z ($987.99) is the latest entry in the category and, for the price, arguably the best. It delivers a full-size keyboard, a bright LED-backlit screen, and the multimedia creature comforts we’ve grown accustomed to in the Pavilion line in a 4.3-pound package. Sleek looks and plenty of features make the affordable HP Pavilion dv3z a standout in the 13.3-inch set. Affordable and lightweight laptops are few and far between: You'd have to settle for either a netbook or a desktop replacement laptop in order to spend less than $1,000. I'd like to see more systems that don't skimp on screen real estate yet are still relatively light, in the range of 4 to 5 pounds. The HP Pavilion dv3z ($980 direct), a 13-inch lightweight beauty, easily meets these criteria while keeping prices in the three-digit range. The only catch is that you'll have to settle for AMD parts, which, unfortunately, aren't as fast as their Intel counterparts. If your workloads are as light as this system, however, performance shouldn't matter. The HP Pavilion dv3z's build quality is as eye-pleasing as it is portable, but performance can be an issue if your workload isn't light. The HP Pavilion dv3z has a lot going for it: a svelte design (even with the nine-cell battery); good looks; a bright, LED-backlit display; loud speakers, and good performance—with the exception of the sluggish hard drive. Although heavier, the $799 Gateway UC Series delivers decent performance and better battery life in an attractive package. However, if you prefer a slimmer and lighter design to longer endurance, the dv3z is the better choice.